Oregon Death Certificate states his birth date was January (or June) 10, 1863. The written word Jan/June is indecipherable. Using a birthdate calculator with the death date of February 16, 1918 and age as 55 years, 1 month and six days we come up with a birth date of January 10, 1863. U.S. Census records have Robert’s ages as: 1870, age seven; 1880, age 17; 1900, age 37; 1910, age 46. Iowa State Census records: 1885, age 21, …..a year off but probably just a function of the date the census was taken, 1895, age 32… ditto information for 1885. Probate Record for Robert’s Mother, Bridget shows him as age 32 on February 5th, 1896, the date the document was signed. My conclusion: Robert was born January 10, 1863. 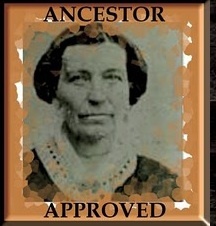 Oregon Death Certificate states Lizzie was born September 15, 1867. Birth date calculator with death date of November 7, 1912 and age at death 45 years, 1 month and 22 days indicates a birth date of September 16, 1867. Considering that her name is listed first on the probate record and her age is 34 at that time, plus three different census records show ages that would put her birth year as 1861- 1862 I believe this is correct. U.S. Census records list James’ ages as: 1870, age 5, 1880 age 15, 1900 age 38 but corrected to 34 (born November, 1865), 1910, age 42 (putting his birth year as 1868). Iowa State census for 1885 shows age at 20 (putting his birth year at 1865). Probate record for Bridget Shane indicates that James was age 30 on February 5, 1896, the date it was signed indicating the birth year could be 1866. North Dakota has no death certificate on file for James and I’ve been unable as yet, to locate other records for clarification. Since James is listed third on the probate record for his Mother, and two years younger than Robert, plus four census records indicate ages putting his birth year as either 1865 or 1866, this is probably correct. Oregon Death Certificate shows birth date as October 12, 1876. Using the birth date calculator, entering August 17, 1925 as the date of death and 48 years, 10 months and 5 days age when she died, her birth date calculates as October 12, 1876. U.S. Census records show these ages: 1870, age 3, 1880, age 13, 1900, age 27 (born in November, 1872), 1910, age 34, 1920 age 40. Iowa State census for 1885 shows her as age 18 (birth year would be 1867). Probate record for Bridget Shane lists Mary as the 4th child, 28 years old on February 5, 1896 when the document was signed. (Birth year 1868). It appears that 1867 is the most likely the year Mary was born, particularly because of the birth order listed in her Mother’s probate. My conclusion: Mary Z. Shane was born in 1867-1868, month not known though probably October 12, as per the death certificate. Montana Death Certificate states 1861 as his birth year, no month or day listed. If we use the birth date calculator and enter May 17, 1916 as date of death and subtract the age noted on the certificate (55) we come up with a birth year of 1861. U.S. Census records list these ages: 1870, age one, 1880, age 11, 1900 (in Spanish-American War), 1910 (not listed). Iowa State census 1885, age 15 (birth year would be 1870). So when was Michael born? Probably in 1870 since he’s shown as one year old on the 1870 census. (unknown month). My conclusion: Michael Shane was born in 1870, month not known. Oregon death certificate shows Johanna’s birth date as 1872 (no month indicated). The certificate further states that she died November 25, 1952 at the age of 80. U.S. Census records list these ages for Johanna: 1880, age 8, 1910, age 32, 1920 age 38, 1930 age 47. Note: The 1900 Census shows a Johanna Shane as an inmate in Mercy Hospital in Davenport, IA. however the census taker included no personal information so it’s impossible to know if this Johanna is our subject. The Iowa State census taken in 1885 shows her age as 13 years indicating a birth year of 1872. Johanna is listed sixth on the probate record for her Mother, Bridget Shane and according to the document was 24 years old at the time putting her birth year as 1872. This agrees with the 1880 census, the 1885 Iowa State census and the death certificate. The 1910, 1920 and 1930 census have no commonality at all. My conclusion: Johanna Shane was born in 1972, month unknown. Oregon Death Certificate states her birth year as “unknown, about age 70,” Agnes Frances died in 1954, if she were 70 at the time of her death her birth year would have been about 1884. U.S. Census records show the following ages: 1880 age 5, 1900 age 21,(born November 1877) 1910 age 30, 1920 age 35 and 1930 age 45. The 1885 Iowa State census indicates that Agnes Frances was 10 years old. The Probate Record for Bridget Shane dated February 5, 1896 states that Agnes Frances was 21 years old and the seventh child listed indicating a birth year of 1875. This information and the 1880 census indicate the same birth year.. 1875 and I believe this is the most logical conclusion. My Conclusion: Agnes Frances Shane was born in 1875, unknown month. Oregon Death Certificate show a birth date of October 3, 1882. Using a birth date calculator with a death date of February 4, 1918 and age as 35 years, 6 months and 1 day the October 3, date would agree. U.S. Census records show these ages for John: 1880 age 2, 1900 age 21, born in October, 1879, 1910 age 28. John is listed as the youngest child of Bridget Shane and the Probate Record indicates that John was age 18 when the document was signed on February 5, 1896 making his birth year 1878. My Conclusion: John G. Shane was born October 3, 1879. So there you have it…. total chaos with regard to birth dates. Trying to pin down a consistent and accurate birth date for each of the above Shane ancestors has been pretty much of an impossibility, but in the process of sorting it out I was able to come to some logical conclusions and believe they’re mostly accurate. My thinking is that the earlier census (1870 and 1880) along with either death certificate information or the Probate Record were the most convincing evidence. This wasn’t a fun exercise and I’m still not ready to “cry uncle” about finding the correct and complete information. In the meantime feel free to read away, and I’ll keep on looking! If you need the specific Census years and locations don’t hesitate to contact me at susaned1@verizon.net and I’ll be glad to supply them. Susan J. Edminster, Granite Falls Washington, July, 2009, All rights reserved.